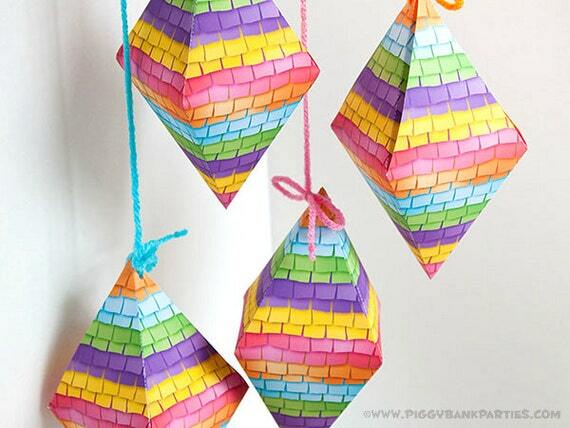 Fill a Piñata Favor Box with candy and everyone will go home happy! No bats required. ► Instant Downloads should be downloaded using a desktop computer. 2. After payment has cleared, follow the link Etsy provides to the Downloads page or download from the "Purchases" page of your Etsy account. eCheck payments will delay your order by 3-5 business days.